Published: June 1, 2012 at 01:50 p.m. 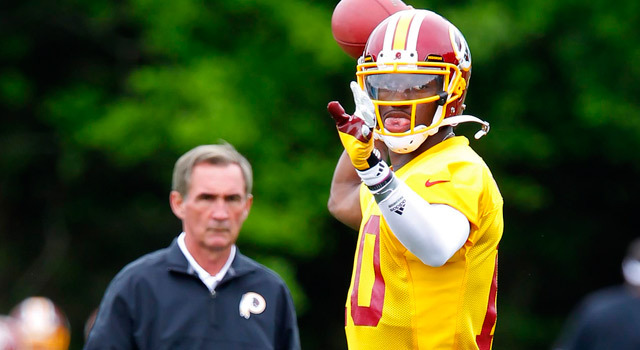 Updated: Aug. 4, 2012 at 10:25 p.m.
Redskins coach Mike Shanahan (left) knows that his future rides on the right arm of rookie QB Robert Griffin III. 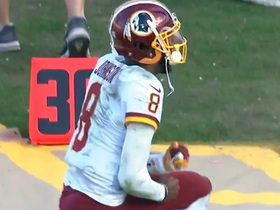 ASHBURN, Va. -- It was almost offhanded, the way Robert Griffin III snuck in the words. He was talking about Mike Shanahan, and somewhere between saying he grew up as a fan of Shanahan's Denver Broncos and declaring that he wasn't a teacher's pet, he made his feelings of fidelity clear: No, the coach who drafted him five weeks before is not the coach Donovan McNabb insists he is. "What some former quarterbacks have said about him, to me, isn't true," Griffin said Thursday. "He seems like a great guy." Quarterback, coach. General, commander-in-chief. It's the most essential of relationships in football. Their stocks rise and fall together. They are the two leaders of a team; one cannot succeed without the other, and the best twosomes are bound together by some sort of affinity. 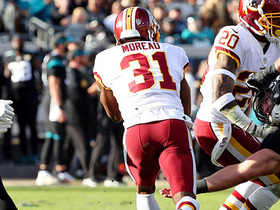 "I'm not sure if 'love' is always the proper term," Shanahan said to laughs Thursday, as the Washington Redskins and their rookie quarterback closed their second week of organized team activities. Still, there is already something tangible burgeoning between Griffin and Shanahan. The 59-year-old coach said that rapport is, of course, vital. There is no player he will spend more time with, and no other player who faces as much pressure as Shanahan himself. "You're going to go as far as your quarterback can take you," he said more soberly. "You've got to believe in that quarterback." It would be nigh on impossible not to believe in Griffin. The Heisman Trophy winner is at Redskins Park early every day. He's a committed student, drawing praise from Shanahan for picking up the playbook faster than anyone he's coached. Griffin also understands humility, professing Thursday he still only has "60 to 70 percent" of the playbook down. Shanahan wasn't shy in saying that with Griffin, the Redskins can do things no NFL offenses have done. Still, the coach said, the young phenom is "an overachiever." "He's a worker even though he's very talented," Shanahan said. "It was a dream come true to be here and play for him and his offense," Griffin said. Think about Bill Belichick and Tom Brady with the New England Patriots. Tom Coughlin and Eli Manning with the New York Giants. Those partnerships are built on a mutual respect, a genuine reliance, a protectiveness for each other, like what Griffin demonstrated in defending his coach of not-yet-two months. No, he doesn't bring a shiny apple to Shanahan every morning, but he does go in to see him every day, he said, sometimes to talk football, sometimes just to say, "Hey." "You've got to have that kind of relationship," Griffin said. "So you guys are always on the same page." 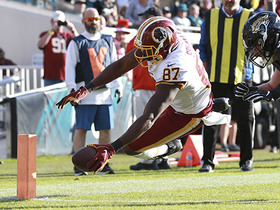 Shanahan frankly admitted that having a player like Griffin makes climbing out of bed easier. "The more talented the player, the more juice you have to come to work," he said. Tight end Chris Cooley said Shanahan has always been consistent. Santana Moss, who has tried to be the wet-blanket voice of reason since Griffin's arrival ("Talk is really cheap," he said Thursday), refused to draw a connection between Griffin and Shanahan's happiness. But DeAngelo Hall had no such qualms. The cornerback said that, heck yeah, he's noticed a difference in his coach since the No. 2 overall pick went to the Redskins. "He's definitely more relaxed," Hall said of Shanahan. "His chest is out a little bit, he feels good about this team." Smith: Time for an NFL lottery? Even after 27 years in the NFL and two Super Bowls, Shanahan's legacy will most prominently be marked by what he did last. 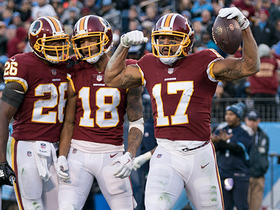 The Redskins have won just 11 games the last two years, but Shanahan has been painstakingly rebuilding this team in his vision. He now has the bodies to provide both depth and legitimate competition. He also has a real defense and a quarterback who stretches his imagination. See Shanahan rubbing his hands in glee over his playbook; picture him calling his offensive coordinator/son Kyle in the wee hours, saying, "What if we did this?" Veteran defensive end Kedric Golston laughed at that image. "I definitely see it," Golston said. "Coach Shanahan is smiling a lot these days." And so it goes. Griffin glowingly talks about Shanahan's offense and how John Elway used it to tear up defenses. Shanahan talks about the "crazy" demands facing a No. 2 pick and how Griffin has "his priorities in order." The coach said that, just like in any relationship, they are still learning about each other and still getting to know each other better. But the infatuation stage sure is fun.